Looking for Shopping Cart Software? - Planning to Start Selling Online? - Thinking of Expand Your Existing Business Online? - Sick of Cheap Ecommerce Software with Poor Support? - Searching for shopping cart solutions that help you SELL MORE? With webShaper ecommerce setting up an online business is easy! 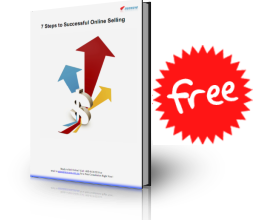 "7 Steps to Successful Online Selling"
Not Just Shopping Cart Software, We'll help you to succeed too! Selling Online has never been so easy. Many young entrepreneurs have turned their passion into successful online business and start selling what they love. Without hefty investment in physical store, they are getting paid in USD, Pounds Sterling, AUS and SGD! Imagine, some of them are just doing it part-time! If you are business minded, but dont have a huge pile of money in your basement we have the solution for you. Whether you're starting from scratch or expanding your brick-and-mortar business, we have the right tools and solutions to help you succeed. You can even drop by our office for a FREE, No-Obligation 2 hour consultation? It's probably one of the best 2 hours time investment you got. You will get advice from our in-house e-commerce expert on how best to kick-starts your successful e-commerce business. Detailed assessment of your e-commerce goals and needs. Live demonstration of how to setup your e-commerce store. Your questions answered by E-commerce Specialist. Get a Free, No obligation e-commerce consultation Now! Get Free sales traffic everyday to your Search Engine Friendly online store. Ready-made store design to help you kick-start your business instantly! Prevent fraudulent credit card order with our 1st in the World Fraud Alert System™. Support most choices of Online Payment Gateways cater for Malaysia SME. Easy, clean & user-friendly control panel to mange your store effectively. Friendly & unbeatable local support ensuring your business continuity. What does Neowave Solution provide? We are specialized in ecommerce software solutions that help company to build successful online business. What is webShaper ecommerce and how does it help my business? webShaper ecommerce is web-based software designed for small & mid-sized business looking to sell anything online. It lets you organize your products, customize your store design, accept credit card payments, run promotions and more. Read here on how it can benefits your business. How much is webShaper ecommerce? Our comprehensive ecommerce solution only start from RM2999. It is only One-time fees and no monthly charges. On top of that, we also offer Free Installation and Free 1st year support. Who is your existing client? We have customers range from one man show small company to big corporation. Read here on how our customer say about us. © 2008 Neowave. All rights reserved.